Amy Spintman has been a loyal tenant at Smart Self Storage of Eastlake for over 14 years. 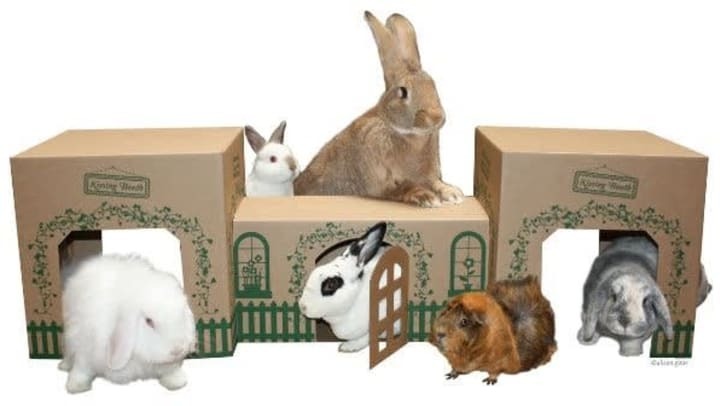 She is the proud owner of Cats & Rabbits & More, a business which manufactures playhouses for rabbits and cats, namely Cottontail Cottages and Hopper Hideaways. Amy is a volunteer and board member of the San Diego House Rabbit Society where she started volunteering 22 years ago. Cottontail Cottages and Hopper Hideaways are stored in Amy’s storage unit. She visits once or twice a week to pick up and drop off the boxes. When asked why she chose Smart Self Storage of Eastlake she said, “It’s convenient to where I live, cheaper than a warehouse and the staff is nice and friendly.” Amy also enjoys the times when the office staff go out on property and offer refreshing cold water along with popsicles on a hot day.